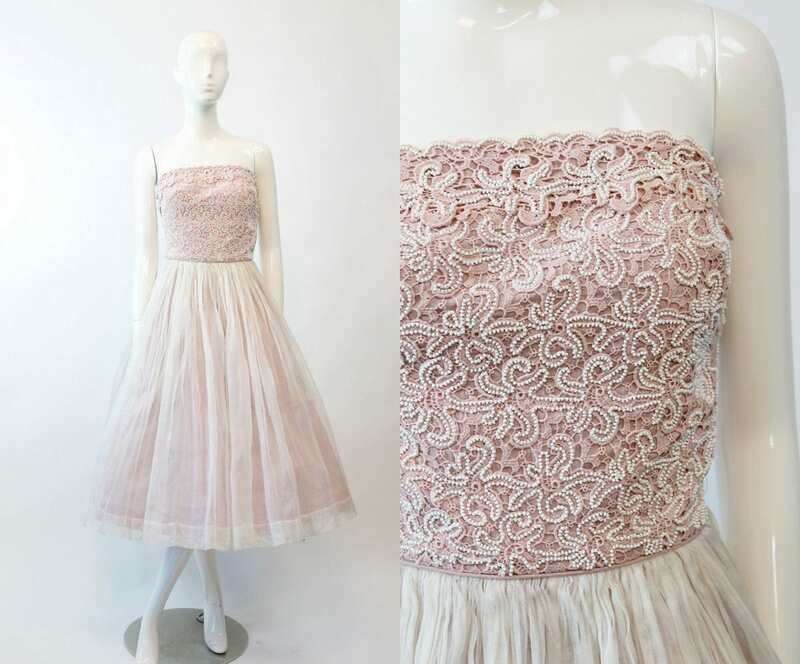 Exquisite 1950's Carlye dress! Carlye is known for their Paris collection reproductions done in quality finishing. This dress and matching wrap are done in a soft rose cotton and ivory silk organza. Strapless style with lace on the bodice and tiny white seed beads encrusting it. Fitted waist and full skirt. Side hook and eyes and side metal zip. The bodice is not boned so this will need to fit snugly under the arms...but the hook and eyes are easy to move for a perfect fit! Bodice is lined in cotton, skirt is unlined. Bust (underarm seam) : 32"